With the festive season knocking on our doors, it’s time again for consumers to fall in love with your brand. It’s also time to build a relationship that lasts all year round. Diwali and the festive occasions that follow see a tremendous hike in discount promotions. These only confuse consumers more and clutter their vision. To grab a customer’s attention during the festive season, be true to your brand values. Also, build a Festive Promotion that engages customers. The way an average Indian is celebrating has changed. Festival spending isn’t just about traditions and home-cooked sweets anymore. Nor is it the ‘one occasion’ in a year like a decade back, when people splurged only once a year. The opportunity for brands to run a festive promotion during the festive season is only getting better. The amount of money a festive shopper spends has increased drastically over time. With contributions like 40% of annual sales, companies spend heavily on a festive promotion to make the best use of the biggest shopping opportunity of the year. 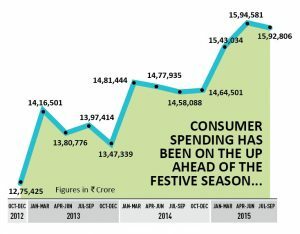 The graph below depicts the way consumer spending has spiked before and during the festive season over the years. The great Indian festive entourage begins around August with Onam and ends around December with Christmas. Besides the traditional consumer durables and apparels, many more segments are seeing a rise in sales. These include food and beverages, travel, banking, grooming, and many more. We have penned down a few popular and offbeat festive occasions celebrated across India. These occasions have become lucrative for marketers to run a festive promotion. One of the most celebrated festivals of India, Diwali contributes majorly to the annual sales of consumer durables, retail, and gold. With fairy lights replacing earthen diyas, Diwali has become a commercial festival attracting marketers and customers alike. Beyond the nitty-gritty of the festival lies the innate understanding of rewards given away via a festive promotion that customers enjoy. Taking a cue from an average Indian festive shopper during Diwali, Pantaloons India in association with BigCity, curated a promotional offer booklet. This booklet catered to kids, families, and youngsters which included 20 exclusive offers across categories like entertainment, salon, travel, health, shopping and more. Thus, offering customers more value on their purchase. The trick is to make a purchase ‘worth it’ for the value-conscious shopper. In Northern India, women are now celebrating Karva Chauth on a larger scale. The festivities go beyond a private celebration between the couple to a group salon session followed by a fancy dinner at a club. The opportunity created here is fresh as marketers haven’t always considered ‘Karva Chauth’ as an occasion to run a festive promotion. 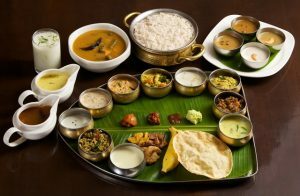 The festive occasion of Onam puts an emphasis on culinary tradition. Restaurants offer Onam Sadhya, that attracts consumers to eat out and celebrate. Eating out has become a regular trend during festivals. Marketers can take this opportunity to offer dining rewards via a festive promotion. Based on a similar premise, Pepsi ran a promotion in association with BigCity. During Valentine’s Day to incentivize customers, in addition to assured Valentine’s themed gifts, a few lucky couples won a luxury dining experience at a 5-star hotel including a chauffeur driven luxury cab. Dining rewards have become very popular. More families and couples are opting to celebrate together outside, rather than having the lady of the house slog in the kitchen. Thus proving that your customers have more time to spare for loved ones during the festive season. A free fine dining session for a couple or family adds more value to a product compared to discounts. According to a report from Assocham, the Indian Wedding industry is over Rs.100,000 crores. It is growing at 25-30% annually. Dawning in November and going up to February, the Wedding Season in India has been a lucrative season. Especially for running festive promotion across sectors. 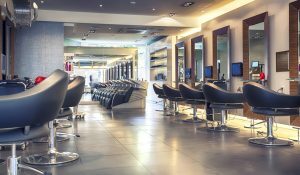 Increasing spends on fashion and beauty has led brands to offer salon rewards via promotions during this season. In association with BigCity, Kellogg’s Special K, an FMCG brand, ran a festive promotion targeted at women during the wedding season. The offer rewarded them with a salon voucher on every pack. Whereas Maybelline ran a festive promotion with BigCity for their #FriendsOfTheBride campaign. Under this, rewards offered were salon services and jewellery vouchers. Salon services can be expensive and are considered a must before any important event. Offering customers free salon service via perfectly-timed promotions can create that desired customer delight and value at the same time. What’s New on the Block? With cross-culturization picking pace, occasions like Halloween and St. Patrick’s Day are becoming popular. They are an untapped opportunity to run a crazy festive promotion targeting a younger audience. During last Christmas, Titan’s online store ran a festive promotion where on every purchase made by a customer (of a certain amount), they gave away one school kit to a girl child at IIMPACT centers (Titan’s NGO arm). Camlin was roped in as a strategic partner. Team Up for a Big Win! Given the trend in higher disposable incomes and higher spends during festive occasions, the opportunities for brands across sectors is only growing. Brands can now try new creative ways to engage with customers and run a festive promotion. Looking for ideas for the festive season? 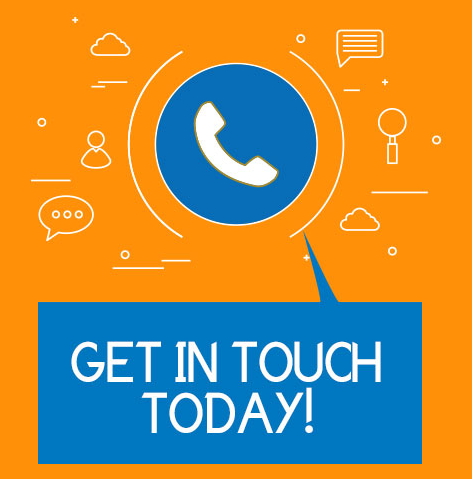 Then talk to our experts today who can concoct the perfect formula for a big bang – A campaign that fits your brief, budget, and positioning. Worry not, our multi-functional team of experts has delivered over 5000 campaigns for brands from across sectors in over 300 cities PAN India.